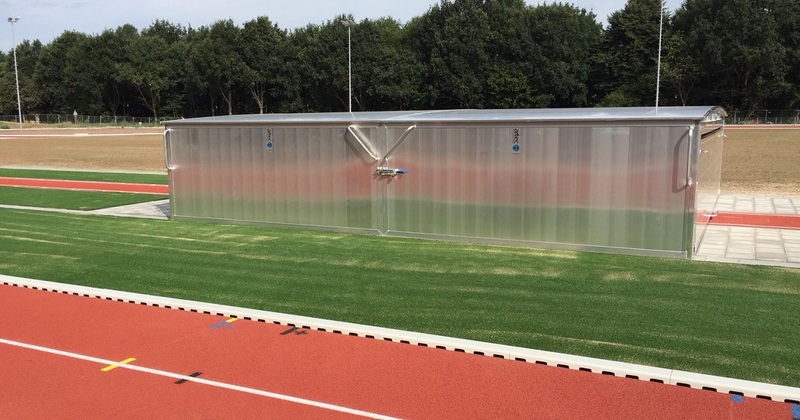 Our mobile safety cover for high jump and pole vault facilities is in high demand in the Netherlands, too. Just recently, we again delivered several mobile covers to Zeewolde and also carried out the assembly on site. As always, our team was on site with mobile welding equipment and once again did a great job on the construction site! With this delivery we provided the new design of mobile covers which was developed by artec last year. This even more stable construction has a succinct curvature on the top which not only guarantees an optimal water drain, but also has a very pleasing appearance thanks to the rolling modern design of the new endplates at the fronts. Apart from the mobile covers, we have delivered further products from our program. 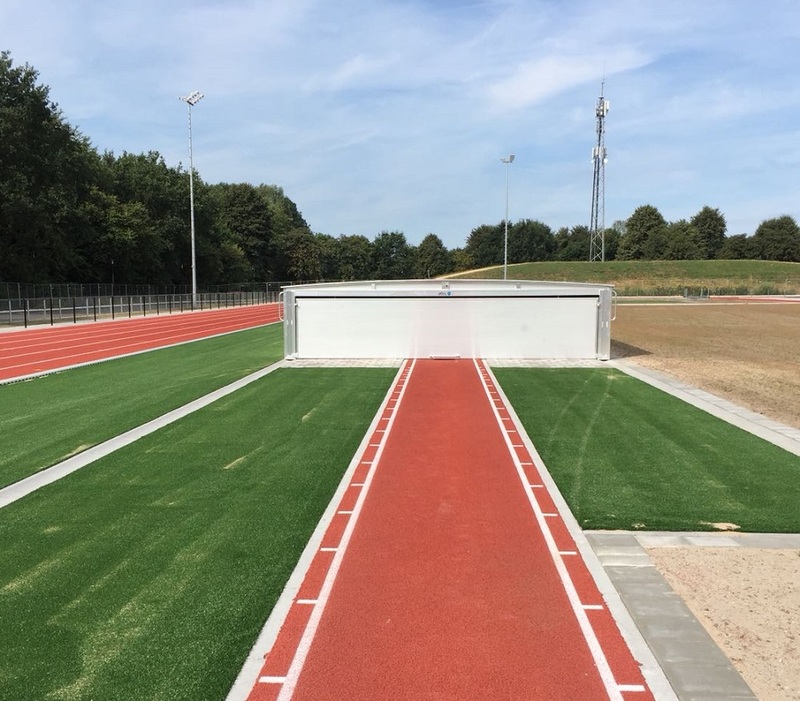 This includes, amongst others, discus and shot put circles made of prefabricated concrete designed to fit the needs of people with disabilities. For these circles the aluminium raw pieces are already delivered with enclosing concrete ex works, so that the installation on site is considerably facilitated and no works with job-mixed concrete are necessary. This especially facilitates the exact horizontal, at grade installation. Furthermore, we have delivered volleyball tournament facilities in a multi-purpose design which, besides for volleyball, can also be used for tennis and badminton. 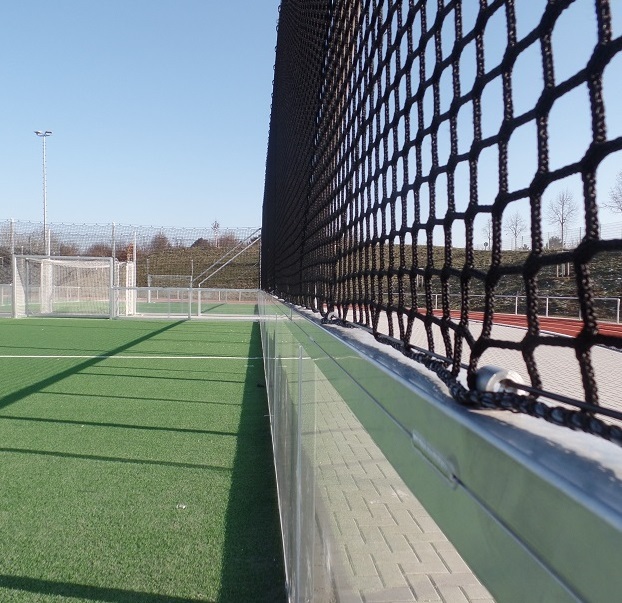 The special feature of these facilities is that a continuous height adjustment is possible even whilst the net is under full tension and the adjustment mechanism is embedded into the post. 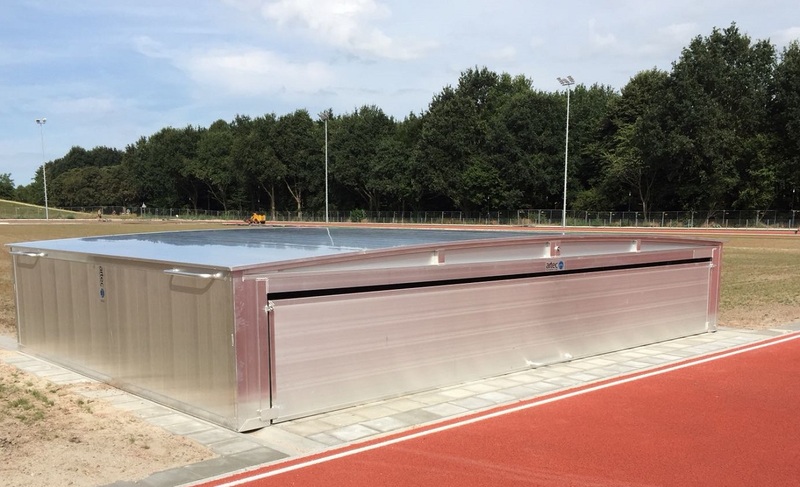 Our mobile cover for high jump and pole vault facilities protects the high-quality landing areas against weather conditions of all kinds as well as against unwanted rodents. This enables our customers to considerably increase the durability of the landing areas and thus defer the cost-intensive investment for a new landing area. All components of our mobile safety covers are designed at our company site in Melle, manufactured using high-quality production methods and are subject to extensive quality controls so we can guarantee the high-class quality of artec at all times. 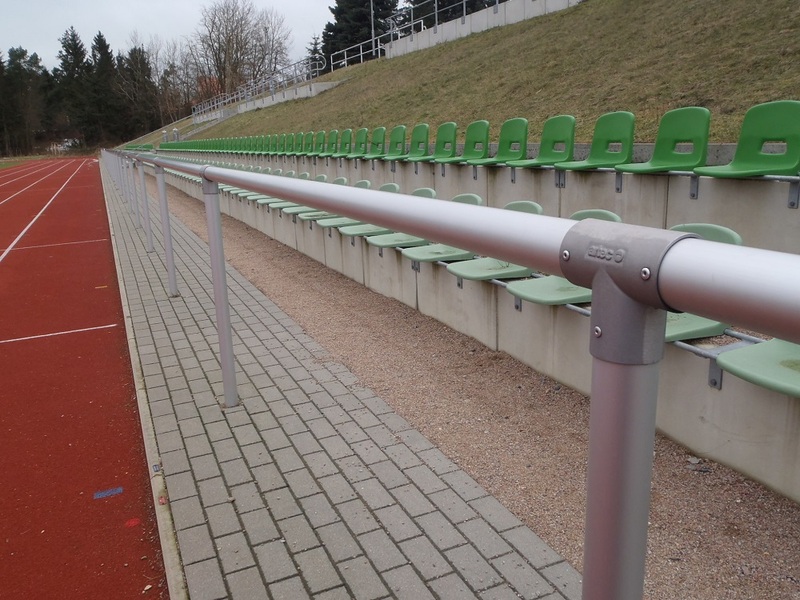 The construction of our mobile safety covers withstands highest strains on sports grounds and is characterised by its quick and easy handling. 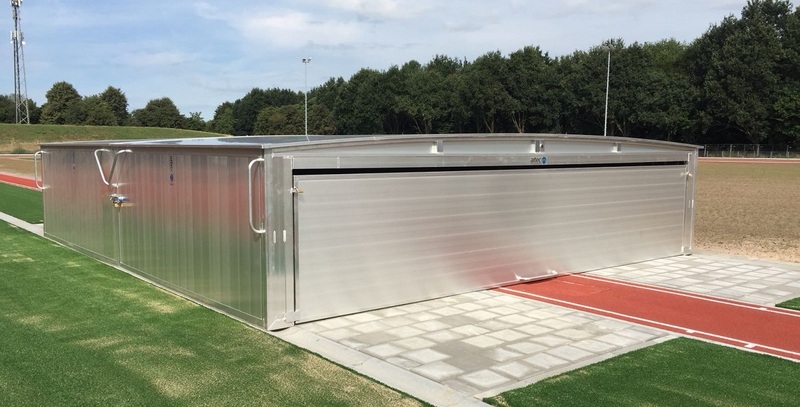 Thanks to the up-and-over door in combination with the chassis and the lowering device, the mobile cover of artec provides comfortable operation of the facility! This ensures uncomplicated handling during training and competitions. 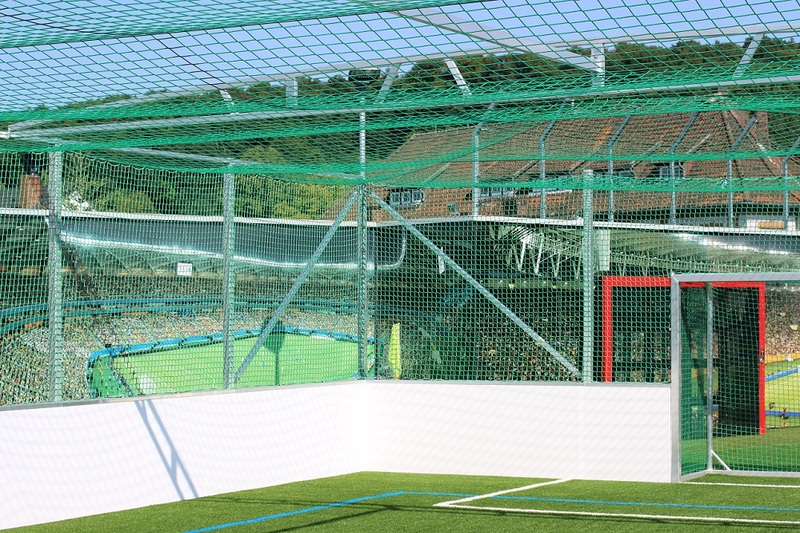 The mobile cover from artec Sportgeräte for landing areas offers an exceptional synergy of protection and easy handling guaranteeing that you receive from artec Sportgeräte the right cover for you landing area! We manufacture our safety covers using modern welding techniques, including the corresponding certificates. Therefore, also for mobile safety covers, the brand artec stand for highest quality and longevity of sport equipment. 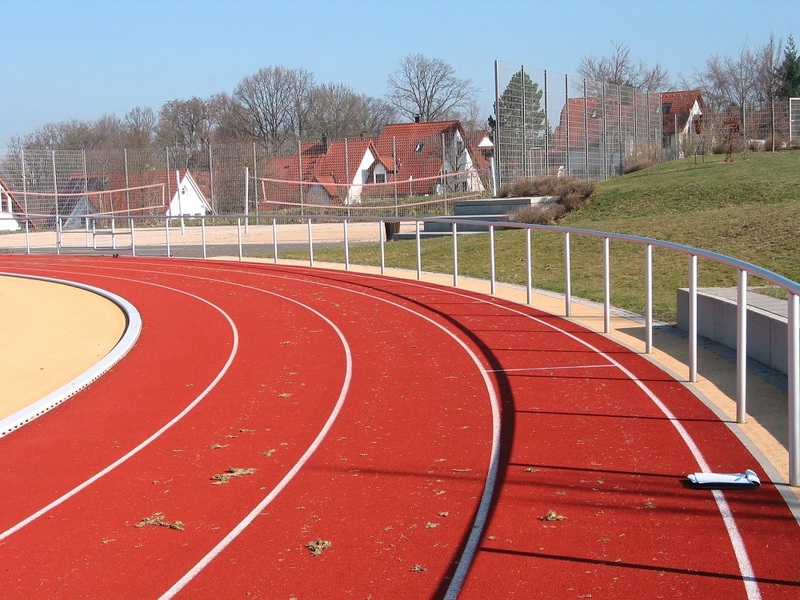 As a manufacture, artec Sportgeräte has wide choice of sports equipment. 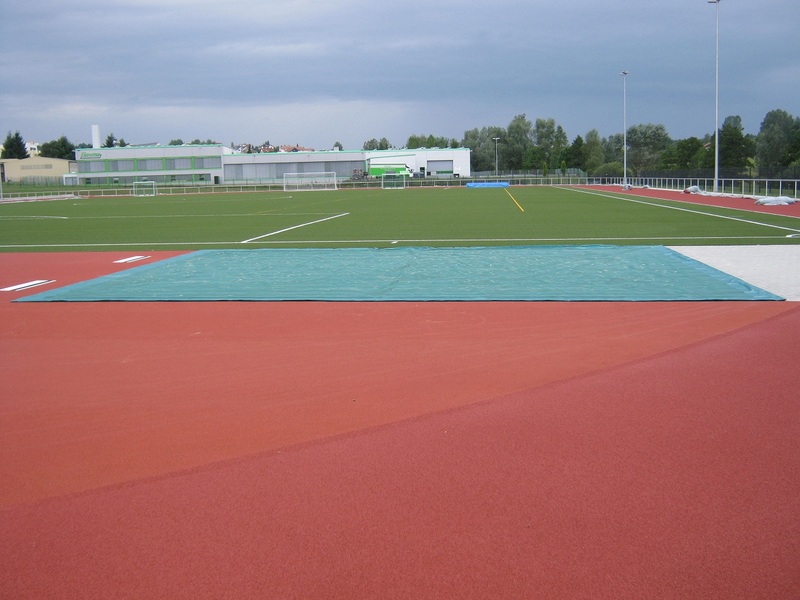 This includes amongst others the complete IAAF certified athletics equipment. Our high-quality products can be used at all professional tournaments as well as for training. The artec production plants are subject to extensive quality controls so only tested and high-quality products leave our factory. Apart from an exceptional technical quality, our products especially stand out due to their easy handling which allows quick assembly and dismantling. Especially during tournaments and major events, this is an enormous advantage, as these, according to experience, take place under a considerable time pressure. Did we spark your interest in our high-class products? Then we are looking forward to your inquiry! Our technical experienced and competent team are available during business hours at telephone +49 (0) 5422 94700 or by email at info@artec-sportgeraete.de. 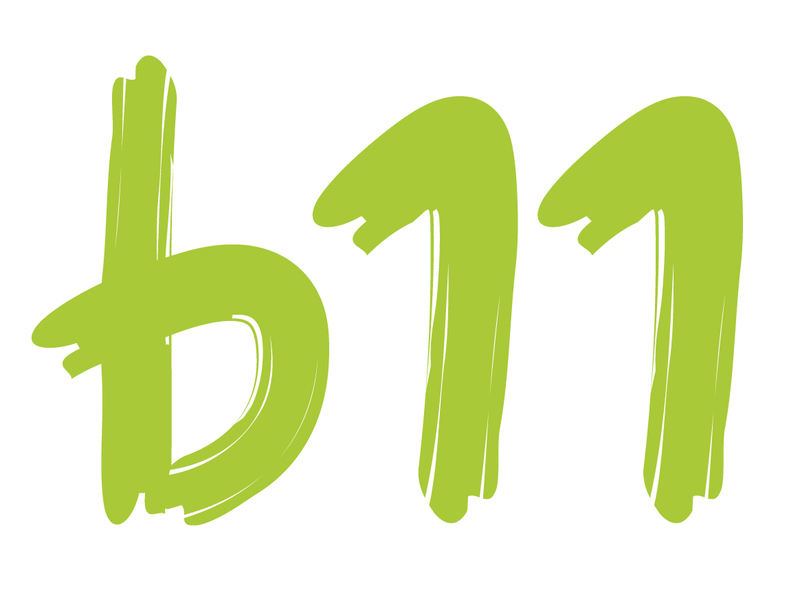 We are happy to help you!